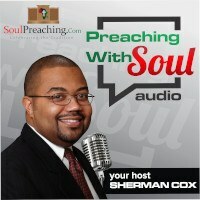 What is the Black Preaching Tradition? This is not an easy question to answer. I have often hear someone describe a preacher by saying, “He preaches Black.” When that designation is placed on a preacher it is often due to an animated style that elicits a response from the congregation. Those preachers who have such a style are said to preach “black” because they allegedly sound like a Black preacher. Perhaps we all have heard preachers who attempt to preach in that tradition without adequate thought or preparation. Sometimes these individuals just yell. I remember hearing a preacher once who upon reaching his conclusion began yelling, he had heard other Black preachers increase their intensity at the end of the sermon, so he just started yelling out of nowhere. The yelling didn’t fit. The yelling was simply a caricature of the tradition. The other day a friend forwarded an email that contained a sermon from a preacher who was butchering the “whoop.” He had no idea of either how to whoop, or the function of the “whoop.” He basically made himself look foolish and he tarnished our tradition. No, Black preaching is not solely about style. Some have seen this misappropriation of the tradition and have come to the conclusion that black preaching is only a function of the theology of the preacher. These individuals come to the conclusion that due to the great diversity of styles in the preaching event, we must look past style to something else if we are to find the unifying factor of all Black preaching. I think there is something of value here, but certainly we recognize a difference between the styles of Frederick D. Haynes and Haddon Robinson. We know that there is a difference in both style AND at least theological tendencies, even if we can’t articulate the difference. I wish to argue that freedom is the unifying characteristic of Black preaching. There is a freedom that affects the style and theology of the Black preacher. When the preacher using her own individuality to increase intensity in the sermon, that preacher is living into freedom. When the preacher begins singing or whooping, the preacher is doing that because the preacher is free to do so. This freedom developed inside of the cauldron of oppression. This freedom developed when it was illegal for Black preachers to preach. The African American pulpit was the place where Black humanity stood independent and free. This is why the Baptist tradition with its emphasis on freedom was so important to African Americans. No one tells a Baptist church what it should believe or do. No structure can shut down the Baptist church because of this freedom. Freedom is the important concept to think about and live into when reading the scriptures in the Black tradition. It shaped which texts to use and it shaped how we read those texts. It was freedom that allowed the Black preacher to say “everybody talking bout heaven ain’t going there.” The preacher was not constrained by what other folks said the scripture means, the preacher was free to listen to God his or herself. If we are to understand and preach in the black preaching tradition, we need to know about freedom. My homiletics professor tried to drill this into my head as I feared ecclesiastical or structural impediments to my unique call to preach the Gospel. My professor told me that what we must have as preachers is “courage.” We must have courage to tell the truth. He was simply telling me to be free. He was telling me to live into the tradition of the Black preacher. While Jesus always deserves our view, in these dark days, we must also keep our eyes fixed on the great historic preachers. The preachers who were free and lived into their freedom. This was the preacher that came over from Africa. The “Priest-doctor” recognized the connection between the spiritual and the physical. Today we live in a Christianity that seeks to place the spiritual above the physical. But if we are to be free proponents of the Black Preaching Tradition then we must be free of this delusion. We must be free of this distortion of Christianity that makes our physicality worth nothing. The Black Preaching Tradition produced the priest-doctor who in Africa and in the invisible institution worked for both our spiritual and our physical healing. Another important component of the Black Preaching Tradition of freedom is the slave preacher. Even when Black humanity was seen as not having a soul worth saving, the slave preacher came and preached the truth of God. 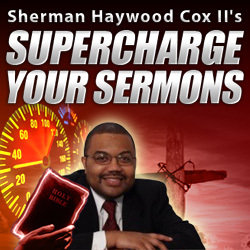 The slave preacher didn’t always know how to read from the book, but the slave preacher knew the stories in the book. The freedom of the slave preacher was shown by the ability to look past the text that says “slaves obey your masters.” The slave preacher wasn’t always radical. 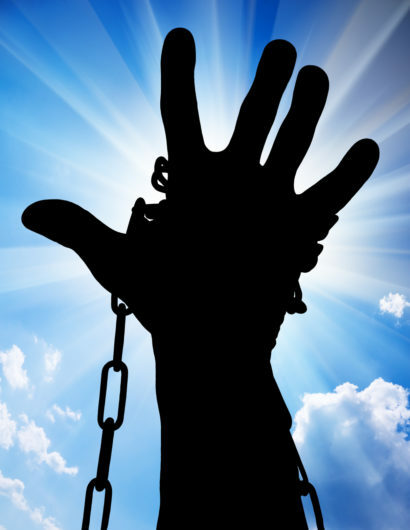 Often the slave preacher just helped us to survive by letting us know that God was on our side and that we will be free one day. While this message was very important and it remains an important message today, there are some who only wish to preach this message of comfort. However, we need all the messages from the tradition if we are to be true to the whole of the tradition. Sometimes the freedom of the preacher shows itself in radical ways as the preacher takes up the mantle of a prophet. The militant preacher, stands up and tells Pharaoh, “let my people go.” The freedom of the Black preacher is shown here when the call for militancy is needed. The Black preacher must recognize the freedom that has created the Black preacher if he or she is to preach in that tradition. In addition, the preacher must know and understand how freedom is translated into our style and theology.